This text is on the modern theory of superconductivity. It deals with the behaviour of superconductors in external fields varying in time, and with transport phenomena in superconductors. The book starts with the fundamentals of the first-principle, microscopic theory of superconductivity, and guides the reader through the modern theoretical analysis directly to applications of the theory to practical problems. 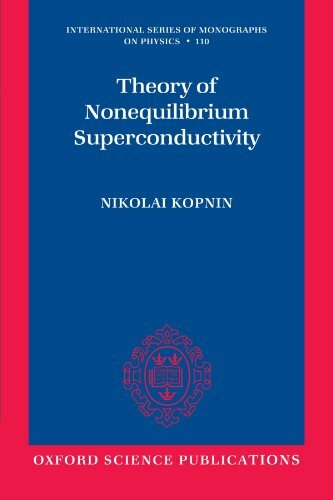 The reader of this book will learn about the methods of quantum field theory applied to nonstationary superconductivity in their most advanced formulation, namely about the so-called semi-classical version of the real-time Green's function technique applied to the celebrated Bardeen, Cooper, and Schrieffer model of superconductivity. A considerable part of the book is devoted to vortex dynamics, dealing with the behaviour of superconductors in the most practical situation when they carry electric currents in the presence of a magnetic field.